The grounds of the Palm Beach Polo Club may not be as elegant as the Palm Beach or Amelia Island Golf Course, but the vehicles and activities rival the greatest of concourses. In its second year, the show has made great strides and is quickly becoming a premiere concourse. Event Chairman Andrew Carduner invited the Gooding & Company to perform an auction on the day of the concours, thus heightening the experience and introducing an additional 55 vehicles to the concours. In comparison to other concours, the Palm Beach event is unique in many ways. The show field provided ample parking for the show cars, allowing plenty of room for spectators to walk and admire. Spectator parking was in abundance and walking distance. If one were to guess, it seems that the Palm Beach Concours committee is hoping the success of prior show winners will propel their event into instant popularity. A piece of paper could be found on many of the vehicles describing information about the model or the vehicle. Many listed they had won 'Best in Show' or 'Best in Class' at many events on the concours circuit. Little other information was given. 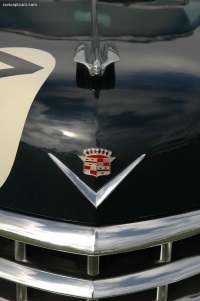 'To have cars of this caliber in our second year means that we have made our mark on the collector car market and are well on our way to making Palm Beach, and Florida, equal to California's energetic and diverse collector community' adds Carduner, who is a noted entrepreneur and co-founder of the celebrated ‘Doubles' club in New York City. There were no honored marques or theme; rather, there was a little of everything for everyone to enjoy. There were muscle cars, large and luxurious American classics, European sports cars, hot rods, future classics, historic racers and more. A 1936 Stout Scarab won the Icono Classic Award, truly one of the more unusual designs. It was an impressive and bold design that showed a level of creativity well ahead of its time. The 1910 'Underslung' Traveler built by the American Motor Car Company was also ahead of its time, mechanically. The chassis was built below the axles and elliptical leaf springs, basically turning the chassis upside down, allowing the vehicle sit very low and impervious to roll-overs. Judging at Palm Beach does not rely on expert judges. Spectators and entrants are encouraged to vote for 'Best of Show'. An advisory board is available to intervene in case of a tie. The cars are organized and judged based on class. Racing had a large presence, both modern and classic. Brigss Cunninghams first entrance in LeMans was with two Cadillac's, one that had a heavily modified body dubbed 'Le Manstre' and the other was a fairly stock Series 60 Coupe which finished 10th. This Series 60 Coupe, driven by Miles and Sam Collier, was on display this year while the 'Le Manstre' was shown last year. A 1930 DuPont racer, which we have seen racing at the Pittsburgh Vintage Grand Prix and other sporting events, was showcased. Ferrari's latest mind-blowing supercar, the FXX, was easily the favorite among many younger spectators. Many reminisced over the Chevrolet Corvette Grand Sport adorned in Sunoco livery. European power was in full force with the Gunnar-Porsche 966, Porsche 917 PA Spyder and 908/2. How should one rate the success of the concours in its second appearance? There was an estimated 5000 individuals in attendance - not bad for its second year. The true success is two-fold. The organizers, staff, and volunteers did a wonderful job making this a class-act event. The 200+ vintage, antique, performance and collector cars were the true pinnacle. James Patterson's 1947 Talbot Lago T26 with teardrop body design courtesy of Figoni & Falaschi was the highlight winning 'Best in Show' for both the People's and Advisory Board awards. In the next few years expect this concours to balloon into one of the premier events in the United States. There is much appeal to this show: its large open spaces, sunny Florida winter, exquisite automobiles and more.